We issue this joint statement to protest the deteriorating situation of human rights in Tunisia and the escalating attacks on academics advocating democratic reforms and the rule of law. In recent months, government critics have faced markedly greater levels of violence at the hands of persons believed to be linked to security forces, suggesting a systematic campaign to silence all critical voices. 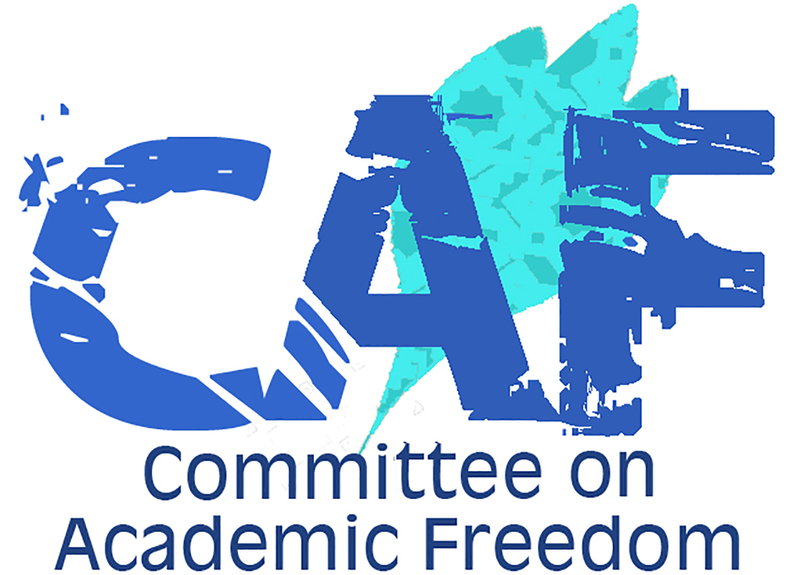 As organizations devoted to educational issues and academic freedom, we are particularly alarmed by the assault against Tunisia's educators and intellectuals. We urge you to use your powers to curb the increasing use of violence exhibited in this campaign and to safeguard the international human rights embodied in international covenants that Tunisia has pledged to. Your Excellency, as Tunisia celebrates the 45th anniversary of its independence this week, its citizens increasingly seek to exercise their internationally recognized rights to free expression and free association. Speaking on the occasion of this anniversary, on March 20, you stated that Tunisia has “chosen democracy both as a principle and a practice.” A central characteristic of a democracy is the ability of its citizens to receive and impart information freely about their own society, and independent academic and scholarly work are crucial to fostering this ability. When Tunisia acceded to the International Covenant on Civil and Political Rights, it made a commitment to guarantee all individuals the “freedom to seek, receive and impart information and ideas of all kinds.” Yet independent thinkers who challenge your government’s policies in a peaceful manner have suffered sharper and more violent responses when exercising these rights. Over the last few weeks, to name but a few examples, unknown assailants have attacked journalist Jalel Zoghlami on February 3 and again on February 7, apparently because of his effort to publish an independent newspaper. On February 21, four representatives of the international human rights group Reporters Sans Frontiers who were trying to distribute copies of this newspaper (including the organization’s secretary-general, Robert Menard) were attacked by a group of nearly twenty men; the NGO representatives were later expelled from the country. On February 22, Naziha Boudhib, a member of the Tunisian Association of Democratic Women (ATFD), was attacked by several men who forcibly took her documents chronicling the human rights situation in Tunisia. Your Excellency, we are especially troubled by reports of two recent attacks against Prof. Khedija Cherif, a sociologist at the University of Tunis and a prominent advocate of women’s rights. On March 1, Prof. Cherif was beaten, sexually harassed, and verbally abused as she was attempting to attend an informal meeting at the former headquarters of the CNLT in Tunis. Eyewitnesses identified her attackers as plainclothes police officers, and photographs taken during the attack seemed to identify one of the attackers as the chief of police of the Medina section of Tunis. In the same incident, the assailants also attacked Prof. Abdel Kader Ben Khemis, a professor at the University of Sousse, and physically prevented him from attending the CNLT gathering. Several others attending the meeting, including Sihem Bensedrine, a prominent journalist and the CNLT's spokesperson, were also attacked. Ultimately the attackers succeeded in stopping the meeting from taking place. Prof. Cherif and Prof. Ben Khemis have filed complaints with the local prosecutor’s office, but have not received any acknowledgement of or response to their case. Prof. Cherif was attacked again on March 10 on the steps of the courthouse. An unidentified man in civilian clothes attacked Prof. Cherif and tried to take a dossier from her hands that contained the details of her complaint about the earlier attack she had suffered. When she resisted, the assailant pushed her to the ground, pried the dossier from her hands, and ran away. We also remain concerned about the ongoing harassment of Prof. Moncef Marzouki, the CNLT’s former spokesperson. Prof. Marzouki was arbitrarily blocked from leaving Tunisia on March 10. In December of 2000, he was sentenced to one year in jail on spurious charges of “belonging to an illegal organization” and “disseminating false information,” stemming from his former activity with the CNLT. This sentence has been suspended pending appeal, and the relevant judicial authorities had indicated to his lawyers that he could leave the country. Prof. Marzouki was invited by the medical school at University of Paris VII to assume a two-year teaching position, beginning on April 1, after he was improperly dismissed last year from his position teaching public health at the University of Sousse. He has been prevented from teaching or publishing in Tunisia and therefore cannot earn a livelihood, and he is under constant surveillance and is only allowed intermittent telephone contact. Your Excellency, we ask that you demonstrate your government’s oft-repeated commitment to human rights by immediately initiating a thorough and objective judicial investigation into the assaults on Prof. Cherif and Prof. Ben Khemis. We also ask your government to halt the use of arbitrary judicial and administrative proceedings against its critics, among them Prof. Marzouki. Finally, we urge you to exercise your authority as the chief executive of the republic to rein in the security forces’ campaign of violence and intimidation against academics and other critics of the government. We look forward to receiving your comments, and we thank you in advance for your consideration of these important matters.